With residential and commercial solar panels becoming more popular in recent years, many home and business owners in warm states like Texas and New Mexico are wondering whether solar makes sense for them. After all, Andrews residents get to enjoy approximately 265 sunny days per year, which is well above the national average. So why not take advantage of it by harnessing the sun’s power with a solar system for your home or business? From your solar power experts at Endless Energy, here are a few reasons why solar makes cents (see what we did there?) in Andrews, TX and the surrounding Roswell, Hobbs, and Carlsbad, NM areas. As previously mentioned, Andrews experiences more sunny days than many other places around the country, making solar panels for homes and businesses a practical reality here in the Lone Star State and the Land Of Enchantment. According to EnergySage, solar systems in sunny states can produce 500-550 kWh of energy per year if they absorb five hours of direct sunlight every day. Given that many homes and businesses throughout Andrews, Roswell, Hobbs, and Carlsbad are exposed to this much sunlight, it makes sense to save money by ditching your traditional utility provider and investing in residential or commercial solar panels. Speaking of traditional utility companies that provide electricity and natural gas, home and business owners whose solar panels capture more solar energy than is needed to power their building can sell unused energy to utility providers in their network. You can do this a number of ways depending on the utility company in question, but many electric companies opt to apply a credit to your monthly bill. If you are interested in making the switch to solar power and want to learn more about selling unused solar energy to your local utility provider, contact Endless Energy today! In addition to being able to sell unused solar energy to local utility providers, home and business owners who have solar panels also qualify for tax credits and/or write-offs. This is a major incentive for residents to go green in sunny states like Texas and New Mexico because of recent pushes for the community to go green — especially since there are both federal and state tax credits available for those who choose solar energy. 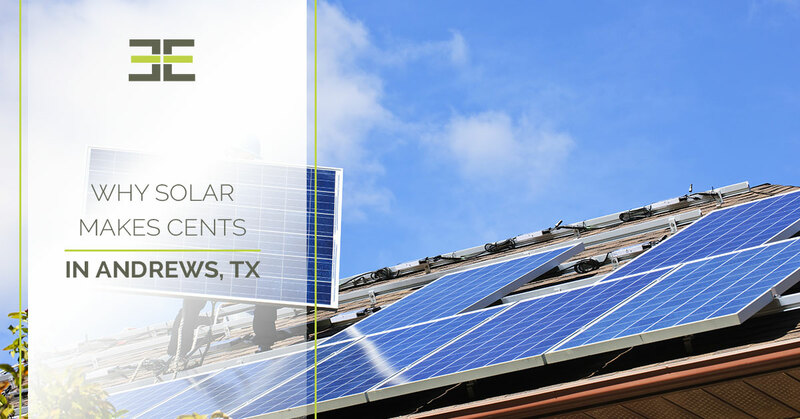 Get in touch with our solar company today if you are interested in learning more about earning solar tax credits in Western Texas or Southeastern New Mexico. Of course, the main reason why solar makes cents for local residents is that solar panels greatly reduce monthly utility bills — if not eliminating them altogether. This is because the photovoltaic cells that make up your solar panels absorb direct current (DC) energy and convert it into alternating current (AC) energy, which then powers all the appliances and features in your home or business. Thus, eliminating the need for traditional energy and natural gas. But that’s not all — when you choose Endless energy for your residential or commercial solar panels, you get custom solar panels that serve the unique needs of your home or business. Contact Endless Energy today to get started on a custom solar panel design in Andrews, TX or the nearby Roswell, Hobbs, and Carlsbad, NM areas!